But with a feature-rich platform like Magento that offers so much, knowing how to get started can be a challenge. 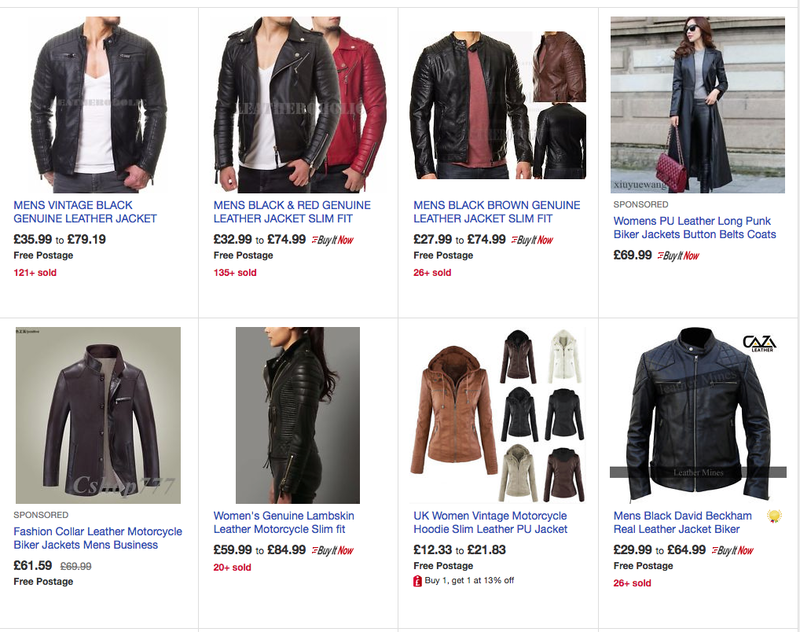 Magento can be complex to set up and optimise. As an experienced Magento agency, we’ve provided a guide to everything you need to know to get started. First of all, you will need to choose the version of Magento that is best suited to your business. Open Source (formally Community Edition) – This is free to download, and it includes most of the basic functions and some useful features. Enterprise Edition – This is the full version of Magento, and the version we recommend. It comes with all the features, optimised performance, better scalability, expert support and more. Find out more about Magento Enterprise Edition. You don’t really want to be migrating between these versions at a later date (while it’s possible, it’s not convenient). We would, therefore, recommend carefully choosing the version you need when you start out to avoid problems later on. Before you even think about launching your store, you’ll need to invest in web hosting. This is not just a matter of choosing the first host you come across – believe us, all web hosts are not the same. Magento is amazing, but it is also resource hungry. It requires powerful servers to provide the best experience to customers – and you probably already know that a positive user experience is so important to a successful eCommerce store. This is even more important if you are expecting heavy traffic or you are looking to sell a large quantity of products. Shared hosting – this involves sharing space on a server with other customers. It is often the cheapest solution, but it leads to a slower website and it is not as secure, so we do not recommend this. VPS hosting – involves sharing a server, but each business is allocated a set amount of resources, and it is both fast and scalable. Dedicated hosting – with this, you get a whole server for yourself, which is typically faster, more secure and more customisable. Cloud hosting – uses multiple servers, and you can add more when you receive a surge in traffic, boosting performance. It’s also easy to scale. 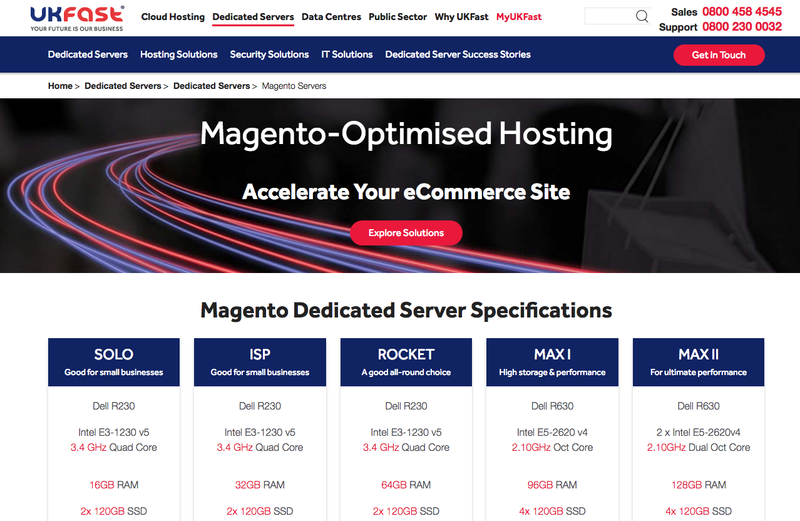 We recommend either dedicated hosting or cloud hosting for Magento. It’s also important to choose the right provider, and we work with leading Magento hosting providers in the country. We’re an official partner of UKFast and Magento technology partner Rackspace. Both are PCI compliant, secure and based in the EU. Both providers are also optimised for speed ensuring your store won’t slow down even at peak traffic. Unsure which one is right for you? We’ll be happy to help you decide. Once you’ve decided on your version of Magento and you’ve got your hosting in place, it’s time to launch your store. This is not something you should attempt on your own. While it is possible to buy a theme that is ready to install – just like you can do on WordPress – this is not the best solution for a business. You want your business to stand out from your competitors with a unique brand image, and you simply cannot do that with an off-the-shelf solution. As a result, you’ll almost certainly want to hire a specialist to help get your store up and running. There are two areas to consider: design and development. You could hire a designer and a developer separately. However, as a specialist Magento agency, we provide both services to ensure a seamless experience. When it comes to the design of your store, your customer should be front and centre. We design with your customer in mind, constantly making decisions from their perspective. We don’t just make sites look beautiful – we also focus on enhancing the UX design for the best experience, which we do by taking into account your business goals, competitive analysis and products among other factors. Next, you will need to set up your store by adding the products you will be selling. You can add products, categories, payment methods and shipping methods and more, and you can do all of this from the admin section. Configurable Products, with different sizes, colours, etc. Virtual Products, such as services you provide, support, etc. Extensions enable you to add specific functionalities to your Magento store. These add extra features that the Magento platform itself does not provide, and they are a good way to personalise your store and provide the features that your target customers want to see. 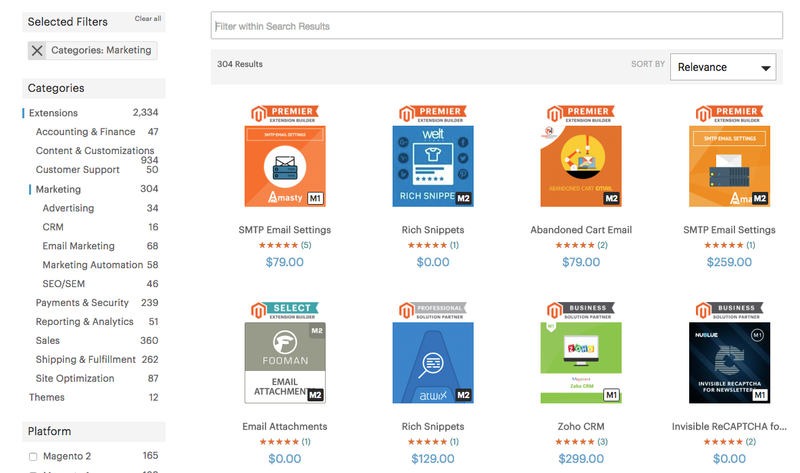 You can find an extension for almost anything, and the place to search is the Magento Marketplace. Some are free while some can be expensive, so browse the library and see what you can find. Once you have a website that looks like it’s ready to launch, don’t go ahead and launch it without testing it first. You are almost certain to find problems that need fixing, and it’s better to discover these before your customers do. This is another area where you will want specialist help. We carry out rigorous testing before launching all websites using various methods including quality assurance testing and a variety of dedicated tools. We never just assume that something works. Once you have set up your store, you are ready to start selling. Driving traffic to your store via marketing is something you will want to focus on, which we won’t go into detail in this blog post. One thing you should consider besides marketing, however, is selling your products in other marketplaces like Amazon and eBay. This can be an excellent way to increase visibility for your products and make more sales by reaching a wider audience. You can do all of this through Magento by integrating your store’s backend with other marketplaces, and we can help you with this too. 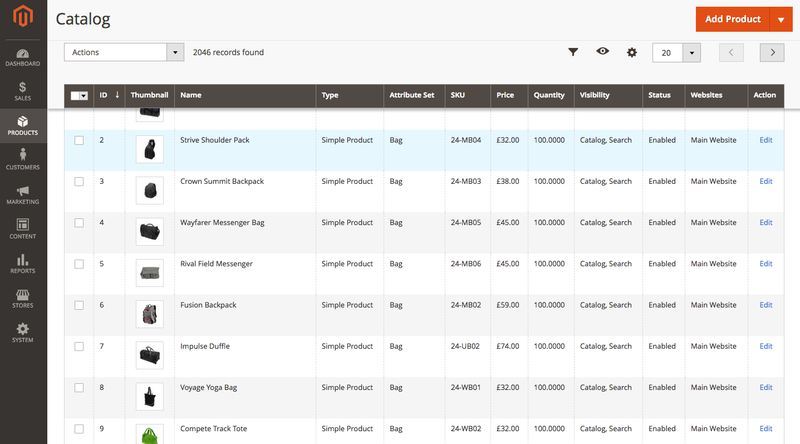 We can even help you launch a different pricing strategy for each marketplace to maximise your sales. Magento updates are another aspect to consider when you first launch your store. Updates are made to the platform to improve security, fix existing bugs and add new features, so they are always worth doing. However, this is not something you want to do yourself. There are too many ways to make mistakes, and you don’t want to lose any data from your online store. As such, we would recommend hiring a Magento specialist to help you with any updates. 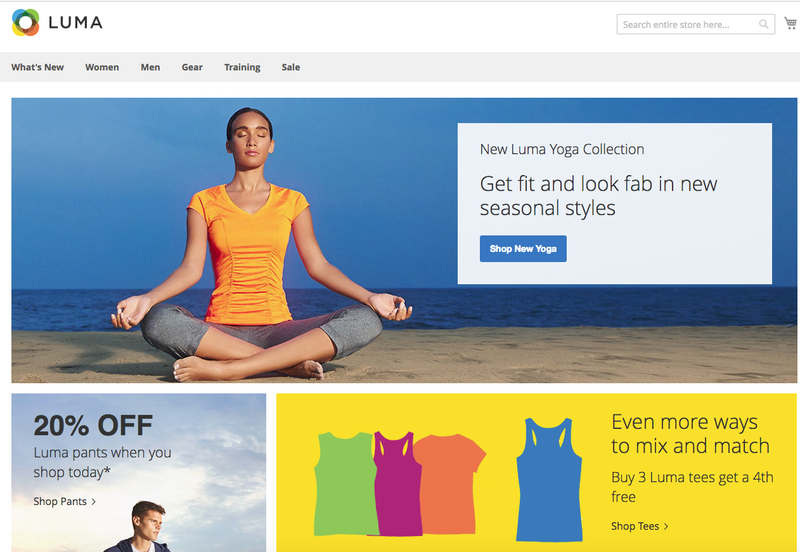 There are few platforms that can match Magento for sheer eCommerce power, functionality and ease of use. If you’d like help getting started, we’ll ensure you get the most out of all that Magento has to offer. That way, you can launch a professional, engaging and compelling online store that is optimised for conversions.